On another note, for those of you who didn’t participate this week, but want to participate next week…next week’s list also came from a few Facebook friends. I hope these prompts inspire you! But all that is beside the point. Let’s say it’s already summer…and to kick off the summer, I reunited with many of my college roommates yesterday. We’ve been planning this reunion for months. One of the girls even drove down from Pennsylvania. 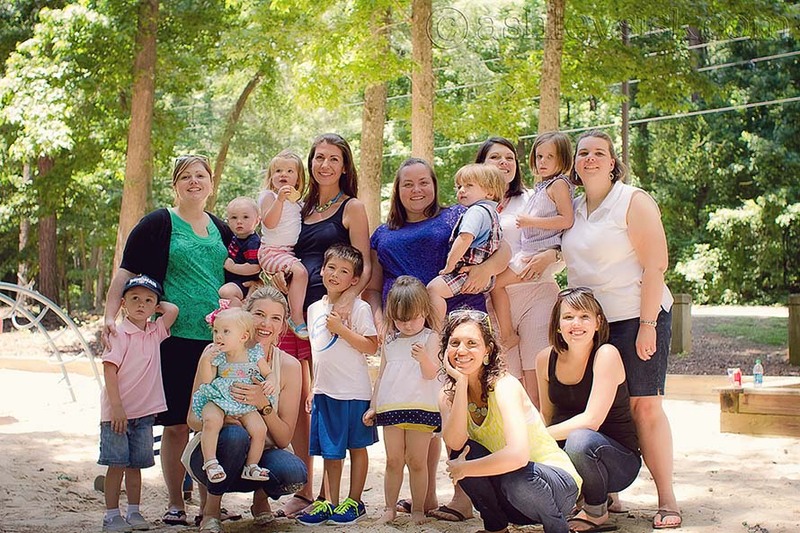 The last time I saw all these girls, I think only three of our children had been born. Looks like the rest of us drank the water! I’ve been in the process of editing my brother’s wedding photos this week. I’m about halfway done. 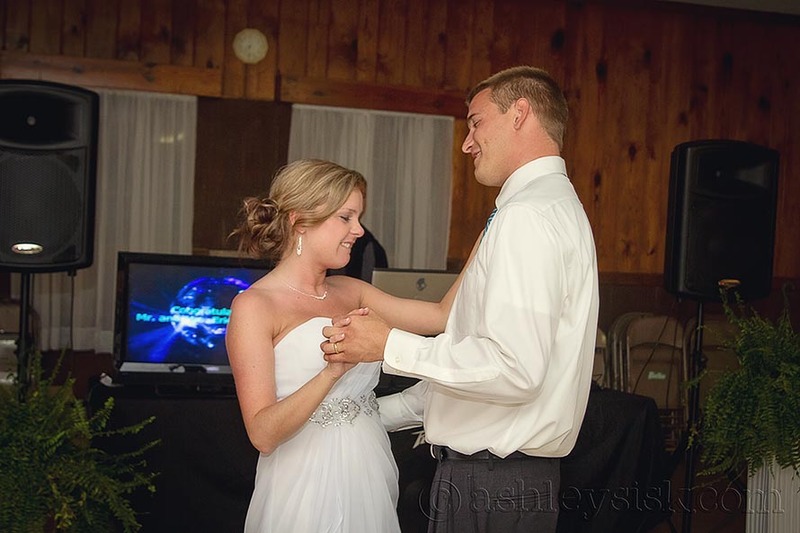 Just today, I came across this picture of their first dance together as husband and wife. Don’t they look so happy? On the left – Felicity had just gotten her nightly bath. She wasn’t happy. As of late, she thinks that there are boogie monsters or something in the bath tub…so she cries. As soon as she’s out, all is fine. I must have been singing or dancing or something to get this face. Oh, I know…I showed her a picture of herself on my LCD screen. She thought that was a hoot. On the right – we took Felicity swinging at the park (during the reunion). She loved it. Here’s she’s laughing as she swings back and forth. 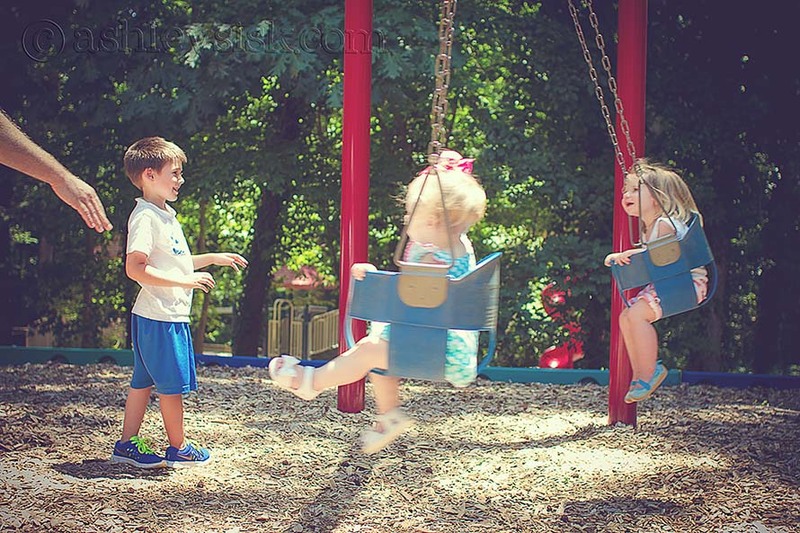 Speaking of swinging (ignore the fact that Felicity is completely out of focus), here you see my friend’s son Will pushing his baby sister. He’s the oldest of all of our children…and he is quite the helper. 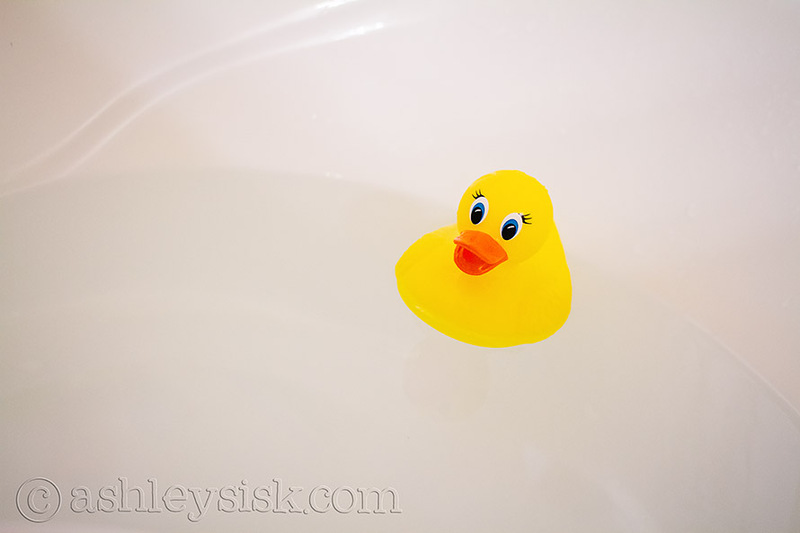 You know how I said that Felicity thinks the boogie monster is waiting for her in the tub. After her bath, we were looking at the water. I was trying to reassure her that only her rubber duckie was in the tub. She’s still not convinced. So, what were your interpretations of the items this week? Be sure to load your pictures on your blog (or your Flickr photostream) and link up at the bottom of this post. 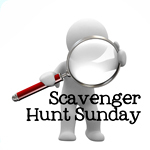 Feel free to grab a button to display on your blog along with your scavenger hunt items. The linky will be open until Tuesday night at midnight (EST). If you didn’t participate this week, but want to participate next week, your list is below.